‘Over the past few decades China has been urbanizing at an astounding pace. In 2013, the People’s Republic unveiled its plan to relocate 260 million people from China’s countryside to one of 21 “mega regions” by 2020 (cbsnews.com). Such a significant shift will undoubtedly transform China’s national character, which has been predominantly agrarian for millennia. 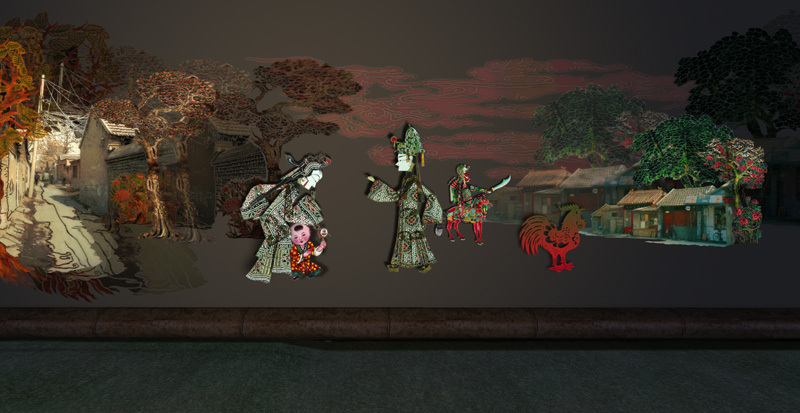 Shadow Play weaves three interfaces, Virtual Reality (VR), Augmented Reality (AR), and Physical Reality (PR), and combines the past and present – through time-honored imagery, paint, shadow play, and new media technologies – to immerse participants in the realities of contemporary China.’ – described by Turbulence.org. 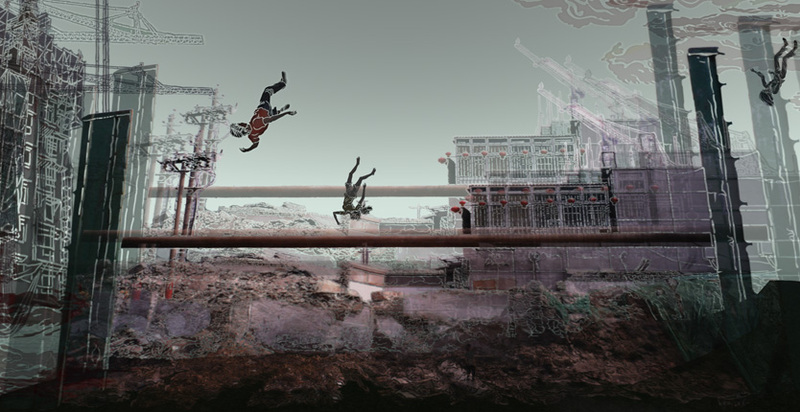 ‘Shadow Play,’ according to the artists, ‘creates an opportunity for the audience to experience the changing landscapes of contemporary China. 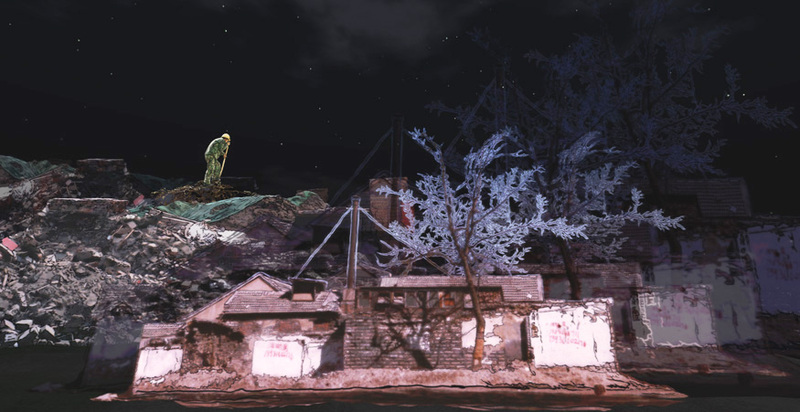 In four chapters, virtual installation sheds light upon real-life incidents such as clashes during land evictions resulting from urban expansion, children abductions, suicides of migrant workers, and predicaments involving the cultural and environmental degradation. 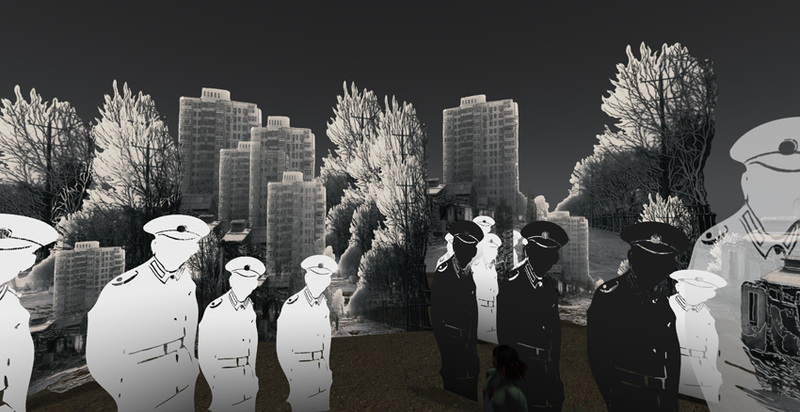 ‘Shadow Play’ has been selected by the Rose Goldsen Archive of New Media Art, to become part of the Special Collections at Cornell University, NY. You are currently reading ‘Shadow Play: Tales of Urbanization of China’ – NRPA Commission & Rose Goldsen Archive of New Media Art at .